Darth Vader, Anakin Skywalker converted to the dark side, came in third place. And a little like the fictitious tragedy of Anakin Skywalker (sorry Star Wars Geeks, it’s not actual history), individuals have the capacity for both light and dark. 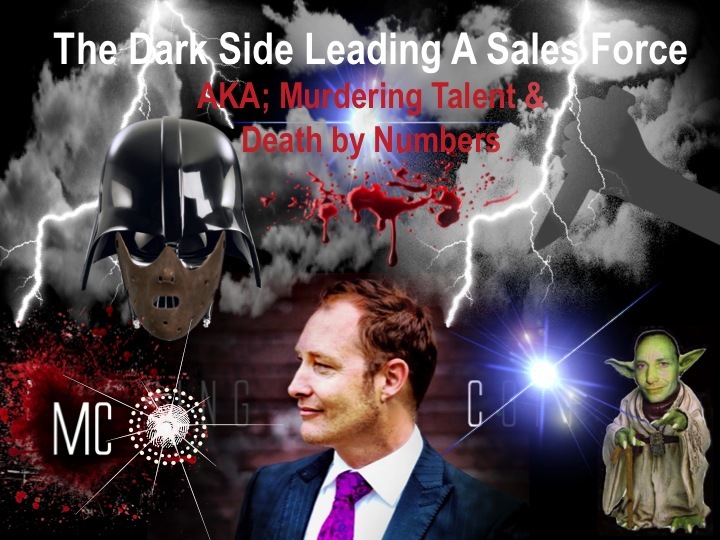 So to honour a silver screen nasty legend, here’s some quick tips to avoid the slippery slope into leading your sales force from the headspace of a Sith. It’s important to have a model for best practice, a philosophy, in place for all to follow. That’s not the same as trying to get everyone to pitch the way you did or the way your top performer does. Behavioral sciences (profiling systems, behavioral and neuro sciences of all flavors) is a strong enough argument in itself to avoid this flaw. Leverage individual strengths. Manage opportunities and weaknesses. The top performer you’re tempted to put on the pedestal as flavor of the month may be in ‘flow’; gaining results through unconscious, natural or learnt, gifts. This doesn’t mean replication will deliver exactly the same result across all members within your team. Learn to extrapolate and model best behaviors, yet make it relevant for all to put into application in a pragmatic way. Consider a ‘tool’ or ‘technique’ the script then develop individuals to own it; freedom of expression to find their own words in articulation of a pitch or ideas creates a sustainable clone army rather than one size fits all. I’m all for intuition. Gut feel. Hunches. In fact as a lead tool, when you again consider behavioral and neuro sciences, the sixth ‘sense’, a kind of force, has real merit. That said, gut feel alone, without the facts, won’t necessarily inspire, motivate or drive a sales team to its full potential. Most businesses would be pretty good when it comes to having data in place. Just make sure that all strategic and tactical decisions can be anchored to key metrics, the best ones (we’ll get to that in a moment), then be sure to monitor and follow up on results. Additionally be a leader who then filters. Know your numbers. Encourage and empower your people to know, then own, their own. Filter any pressures being placed on you associated with just the digits. Better filtering by you means your teams can focus, with less stress, on building better funnels. You’ve heard about death by power point. In sales environments this translates to death by numbers. Paralysis by analysis included. Targets, percentage to targets, activities and all the usual suspects for monitoring inputs of sales teams and KPI’s are important. By the time many of these numbers show up though, they’re a lagging indicator of skills, or lack thereof, in the real conversation with a customer. Hammering people around the head with the same data, like a broken record, is doubtful to fix a problem. Hence the comment earlier, if you’re going to use numbers, be sure to highlight the best and most appropriate ones. If you want to improve skill gaps, you need a fresh set of numbers; capturing the skills, soft and technical, within the real customer conversation itself. Use a variety of skill gap measurement analysis in addition to performance result data. Everybody requires up skilling. Processes shift, buying habits change, and markets trend. To be pitching, researching, relationship building or building, adding and demonstrating value exactly the same way now as you were a year ago, two years ago, five years ago may be the equivalent of Jurassic in the world of sales. Even if the numbers look good you still require time out. ‘Sharpen The Saw’ as Stephen Covey puts it when writing about habits of highly successful people. One significant method to get from good to great, then from great to greatest, is through conscious and ongoing development of skills. 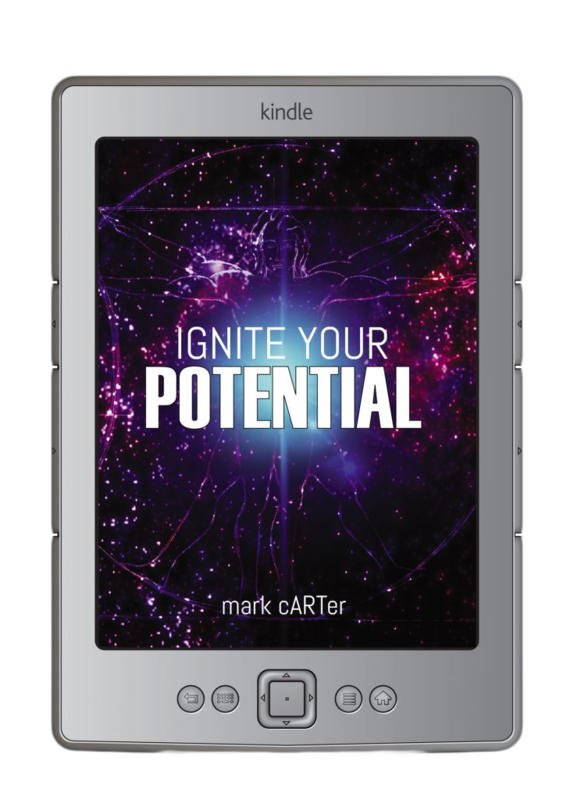 Put in place time on yours and your teams calendars to develop your most valuable piece of technology; being your brain. Running around the mouse wheel chasing activity alone won’t deliver results. It’s a frequently referenced trilogy at play that gives the activity on that wheel some spice. Bring balance to your activity with quality and mental attitude, both of which can be targeted with exceptional development. You know, over emphasis of title. It shows itself in many ways. There’s times you may need to get involved to give direction or decision to the boundaries your sales talent may or may not cross; margins in negotiation being an obvious one. Endeavour to allow and encourage your people still be the messenger so they are still perceived as ‘power’ by the opportunity at hand. Napoleon Hill, in the classic ‘Think & Grow Rich’ even had over emphasis of title as one of a bakers dozens fatal flaws in leadership, period. The moment you regularly overpower and dominate your people (through dictatorial, dark lord doings) means your one deep vader breathe away from a whole new perception of you by your people; insert here vision donning a black cape with an ability to blow lightning bolts from every orifice… you’re officially a sith. And being a sith only restricts sustainable results and growth. I did flag at the start that Vader came in a mere third pace on that greatest villians list.The terrors pipping him to the post also have one lesson each to, tongue in cheek, prevent murdering talent or death by numbers. Need I spell it out.? The lesson here is simple. Cannibalism. Converted into business terms, avoid it like the plague. Make sure you have clear ownership boundaries for territories or accounts to save the headache, arguments and upsets that come later. Simultaneously make sure the different teams or tiers within your business are engaged in healthy competition; driving each other to better results, rather than vying for the same dollars, eating each others revenue, from tapping same clients for exactly the same market share. Well, before I introduce him consider some interesting studies and research emerging the past few years. I remember seeing an in flight documentary on the topic of ‘Monoamine oxidase-A’; which is also dubbed the warrior gene. It has been scientifically associated with violent tendencies and behavior. Such insights shed a whole a new Yoda styled light on the possibility that both nature and nurture play their part towards best foot forward as a leader. British Journalist, Jon Ronson, in his book ‘The Psychopath Test; A Journey Through The Madness Industry’ also found the incidence of psychopathy within CEO is about 4 per cent, or four times higher, than the population at large. Let me suggest here the final lesson in a way Yoda himself might be proud of.